First of all, the BMSC main website has a great travel info page. Check that out first, but there’s a summary of popular ways grad students navigate the logging roads below. This is a popular way to go, and as described on the BMSC travel info page, if you take the ferry into Victoria, you can take either the Duncan route (rougher) or the Nanaimo route (logging roads are better maintained). Many people who take the ferry from Vancouver go straight to Naniamo, which cuts considerably on drive time. Catch a ride! Request to be added to an active BMSC Facebook page, where people currently working at the station network can exchange information about days they are driving to or from Bamfield. You can also check the official online rides calendar. Rides typically go out to Port Alberni or Nanaimo, and occasionally to Victoria, Vancouver, or back to Alberta. 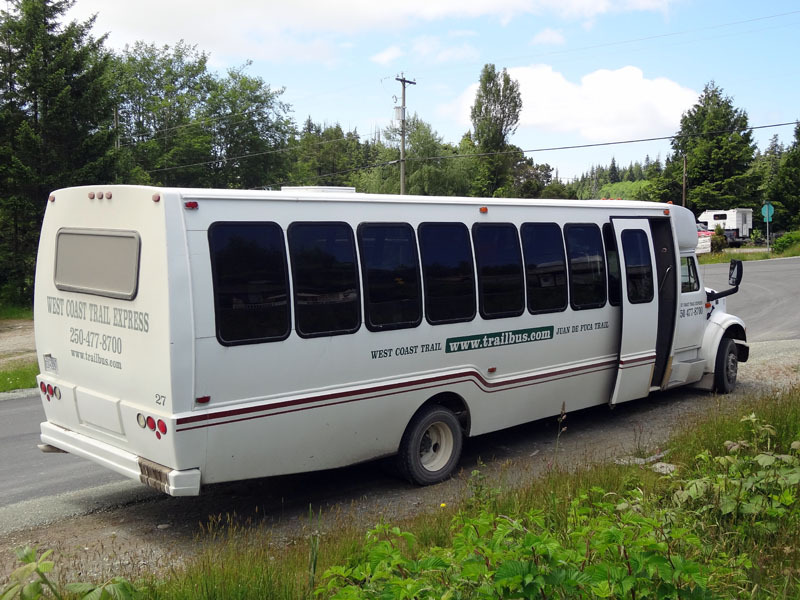 Take the bus: the West Coast Trail Express runs in the summer. Check their website for the latest on fares and schedules, but for summer 2012 the schedule is that the bus leaves daily at 6:15 AM from Victoria and arrives in Bamfield at 12:15 PM. It leaves Bamfield at 12:45 PM and arrives in Victoria around 7:00 PM. One-way rides are $95 (but check the website for changes). Rides are also possible on the bus from Nanaimo. They leave around 8:00 AM and cost $120. Booking round-trip travel saves 20%. Online reservations required.